I See Me! publishes very high quality personalized children’s books that build self-esteem by celebrating the uniqueness of each child. 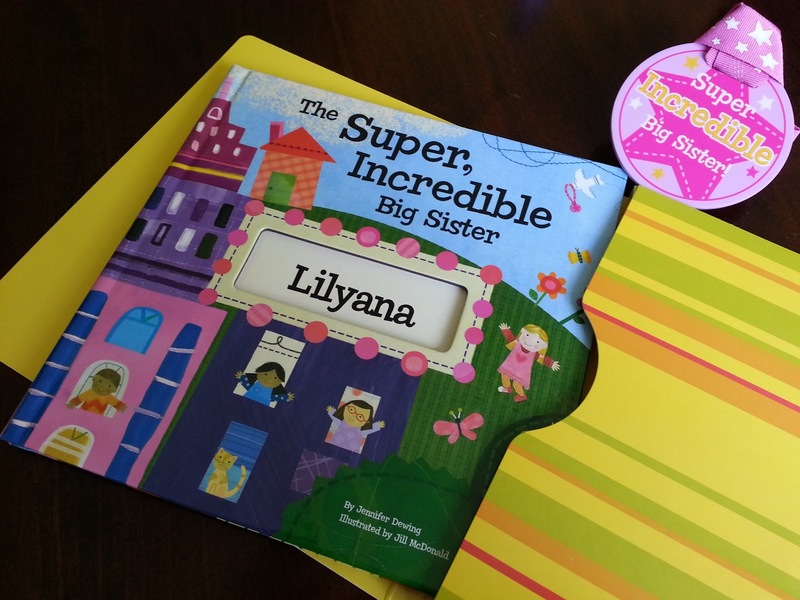 Creating your own personalized book is simple. Just submit a form with your child’s name, birthday and a few other details and place your order. I See Me! does all the rest. Within a few weeks, you’ll have a new storybook where your son is an adventurous pirate or you daughter is the star of her very own fairy tale. They have books for any occasion as well as coloring books and placemats. With that being said I had the awesome opportunity to review The Super, Incredible Big Sister book from I See Me! It is bright, super cheerful, top quality. A book that will be kept and treasured for many years. Not only does it include Lilyana's name but Sophia's as well and throughout the entire book. 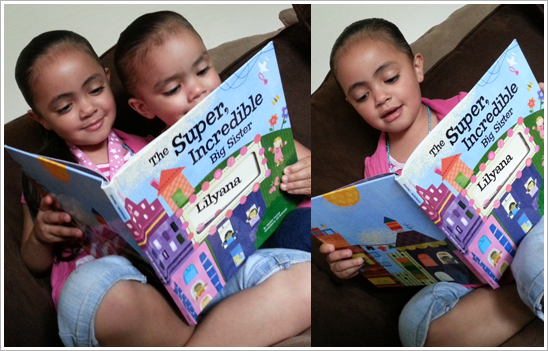 Lily loves to read it on a daily basis, she beams with pride! I think it's safe to say this is definitely her favorite book. 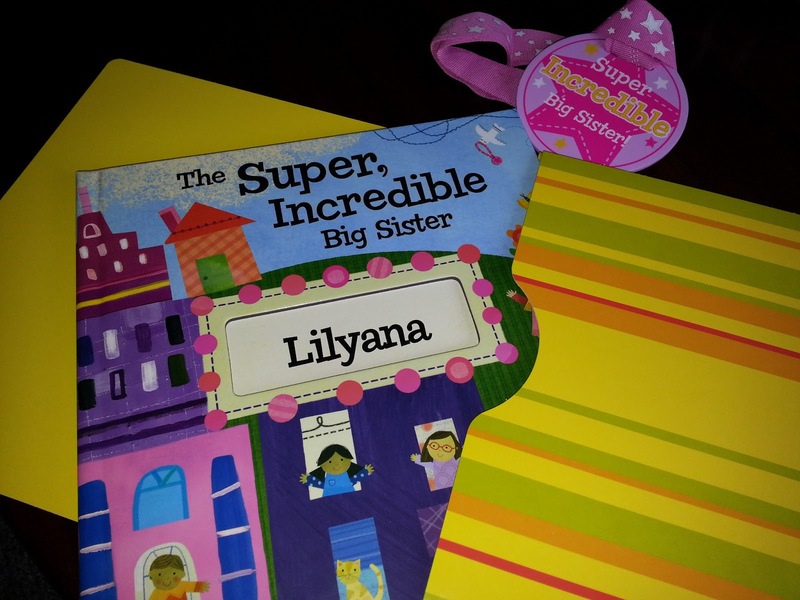 All big sisters and brothers should have a book like this, it's a must! I See Me! is giving away the same kit, The Super, Incredible Big Sister or The Super, Incredible Big Brother to one of my lucky followers! You can also save 15% off these titles, Cars & Vehicles, Dreamy Day, and Let's Play personalized placemats. Enter code SUPER at checkout at I See Me! DISCLAIMER: All products received are complimentary for testing purposes from I See Me!. All opinions stated are my own and are not influenced by any affiliates. I have one of their books for my oldest son and he loves it. I really like the My Very Own World Adventure Storybook! I like the Very Important Preschooler! I also love "Who loves me"
What a great idea - kids love when things have their names!! I like My Very Own Fairy Tale but they have several really cute books. My very own fairy tale! Can I order from Amazon? I think so, but it's probably best to just order from their website! I like the My Very Own Name book. I'd get the big brother book for my son. He'll be a big brother in August. How cute!! I love personalized stuff!! I LOVE the pirate tale and bandana set book!! how awesome, Alden would love one, he is a new book worm.